Sharp is pleased to announce the newest additions to the Pro Series lineup. The MX-M1055 and MX-M1205 Monochrome Pro Series document systems are now available with the latest high performance Fiery MX-PE11 print server. The new MX-M1055 and MX-M1205 replace the MX-M1054 and MX-M1204 respectively. These models are designed for print-on-demand environments where ease-of-use and high productivity is paramount. The Pro Series Monochrome Document Systems can help streamline your customer’s document workflow like never before. Built on Sharp’s award-winning technology, the new MX-M1055 and MX-M1205 deliver the performance, features and reliability your customers expect! 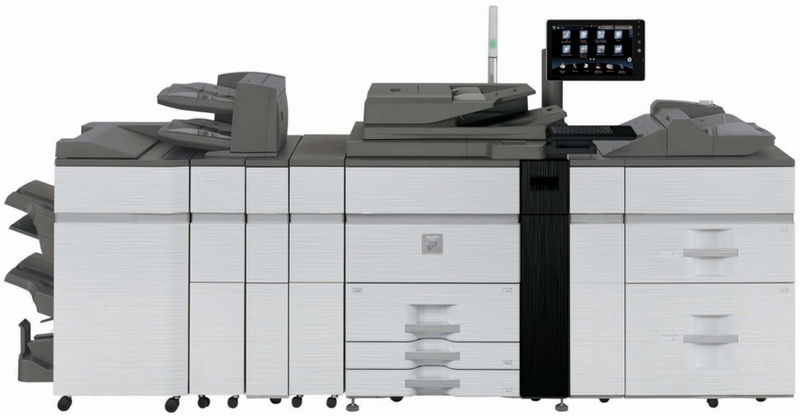 Packed with standard features such as true Adobe® PostScript® 3™/PCL6 printing systems, a powerful 250-sheet DSPF, an easy-to-use 15.4″ (diagonally measured) high-resolution color display and more, these new models will help your customers keep pace with the rigors of busy print-on-demand environments. New Fiery MX-PE11 Monochrome Print Server with Command WorkStation® is available for environments that need advanced job management. Command WorkStation is fully integrated with the Sharp operation panel for unmatched control and ease-of-use. Large, high-resolution 15.4″ (diagonally measured) color touch-screen display with swing out keyboard and touch-pad streamlines operation and job management. How do the Sharp MX-M1055 and MX-M1205 stack up to their predecessors? 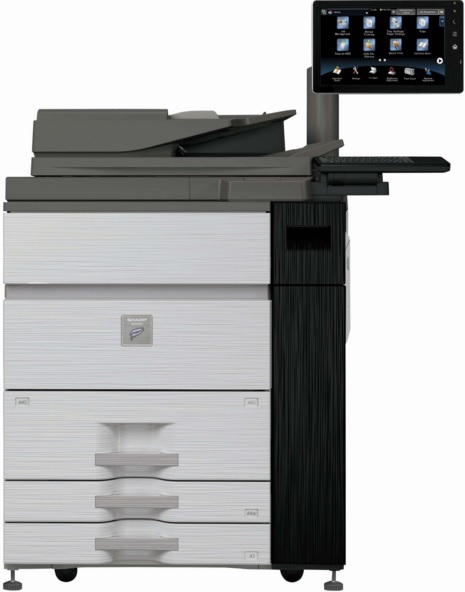 Sharp Monochrome Pro Series matches every aspect of the MX-M1204 and MX-M1054, then adds more functionality and value. See the chart below for more details! If you’re ready to get your workroom outfitted with the latest and greatest technology available, request a free price quote on a Sharp MX-M1055 or MX-M1205! Skelton has the best copier service in Houston.